Gennady Golovkin is to make his return to the ring against Steve Rolls at Madison Square Garden on June 8. 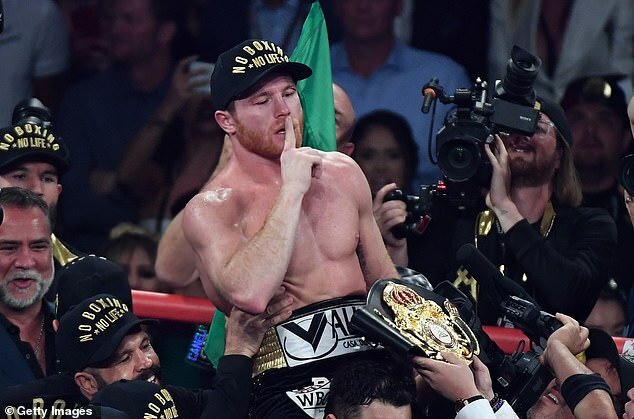 The former middleweight king has not been in action since his first career loss to Canelo Alvarez back in September. He lost by majority decision on that occasion and decided to take an extended break before announcing his next contest in New York against Toronto boxer Rolls. The fight against Rolls is viewed as one that can keep Golovkin busy as talk turns to a trilogy fight against fellow DAZN fighter Canelo. Canelo brought about the first blemish on Golovkin’s incredible career and the Kazakh is keen to avenge for the loss. Golovkin’s 35-year-old opponent is unfancied by many but he is confident he can add more misery. ‘I want to sincerely thank DAZN and GGG himself for giving me the opportunity to challenge one of the best fighters in the world,’ Rolls said following the announcement. ‘But let me be clear: I’ve won national championships and represented my country, and Golovkin is just a man.